The clash between South Korea and Mexico will be played at the Rostov Arena in Rostov on June 23rd. The Tricolor made one of the biggest shocks at the World Cup so far with a win over Germany, while the Taegeuk Warriors displayed a disappointing performance against Sweden and if they repeat such a display here, they can start packing their bags. The Tricolor was an underdog in their first match at the World Cup when they faced the defending champions Germany, but a brave performance and excellent tactics surprised favored Germans who didn’t have the right answer for Mexico’s sturdy defense and counterattacks. Hirving Lozano, the man of the match, exploited one of the counters to give his nation a 1-0 lead in the 35th minute after a fantastic solo effort and shot to Manuel Neuer’s near post, while on the other end, Guillermo Ochoa was great between the sticks and saved all nine attempts on target. Mexico upset the odds on this one and grab a win at +650, so all of those who backed Juan Carlos Osorio’s side made a huge profit, while the game went under 2.5 goals at +135. On the other hand, South Korea displayed one of the worst performances we saw at the tournament in a 1-0 loss to Sweden as they didn’t even have a single shot on target for the entire 90 minutes. Andreas Granqvist’s penalty in the 65th minute was the only goal in this clash as the Swedes justified the role of a favorite at +125, a good profit for the punters who backed the Blue-Yellow. The biggest star of this South Korea team, Heung-Min Son, was practically invisible against Sweden, and although he had a couple of runs in the opposing half of the pitch, Tottenham’s star disappointed and he is expected to show a much better display here. Javier Hernandez had a couple of opportunities to beat Neuer, but he lacked quality finish and composure; however, he is determined to contribute with goals and this matchup seems to be favorable for him, so the Koreans will have trouble to keep Chicharito from finding the net. South Korea: Cho; Lee, Jang, Kim, Kim; Lee Ki, Koo; Hwang, Kim, Son. Mexico: Ochoa; Salcedo, Ayala, Moreno, Gallardo; Guardado, Herrera; Layun, Vela, Lozano; Chicharito. South Korea’s chances to lift the trophy in Russia are +100000, while the Taegeuk Warriors are +6600 to make it to the quarter-finals. Mexico’s chances to win the World Cup are up to +4000, while the Tricolor is +175 to reach the quarter-finals. 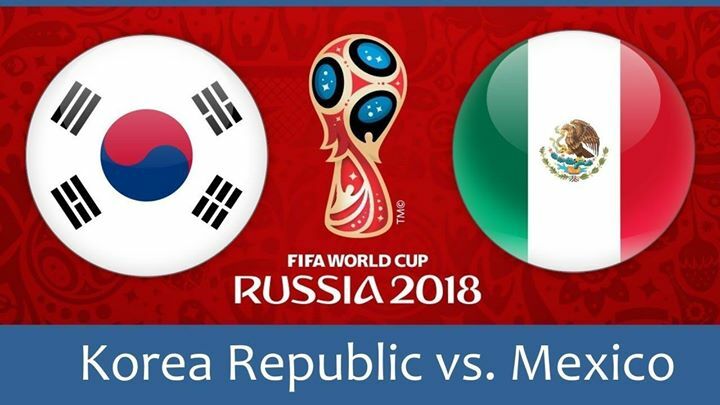 The Mexicans are -143 to secure three points here, and after all, we saw in the first round from both teams, it would be surprising if the Koreans get something out of this tilt. They lack quality in all areas, while Mexico proved to be a quite compact team, so I am backing the Tricolor to book their place in the best 16 teams on the planet with a win on this one.